Did you know it's Dysautonomia awareness month in October? I didn't and I have a child with a form of dysautonomia. I do know now because Amber and I were researching if the season could be affecting her POTS symptoms. Guess what? It can and it's even called "October Slide". We've been plugging along with school work, but Amber's mental chaos finally hit a peak yesterday and it was time to take action. Even before she verbalized a problem, I could see something was off more than even the previous day. After two short lessons, I declared it time for errands. In the midst of the grocery store, Amber took my hand and said "Mommy, I'm very sad. I could cry sad." Sigh. Ah, so that's what is off. POTS depression strikes again. But let me say, it's such an improvement for her to verbalized these feelings. Sometimes I could cry in happiness that she does. Often people don't talk about this very real symptom of POTS and dysautonomia. Amber clearly experiences depression at times, but she desperately dislikes seeing the psychologist unless it is dire. I might have even inadvertently triggered this. 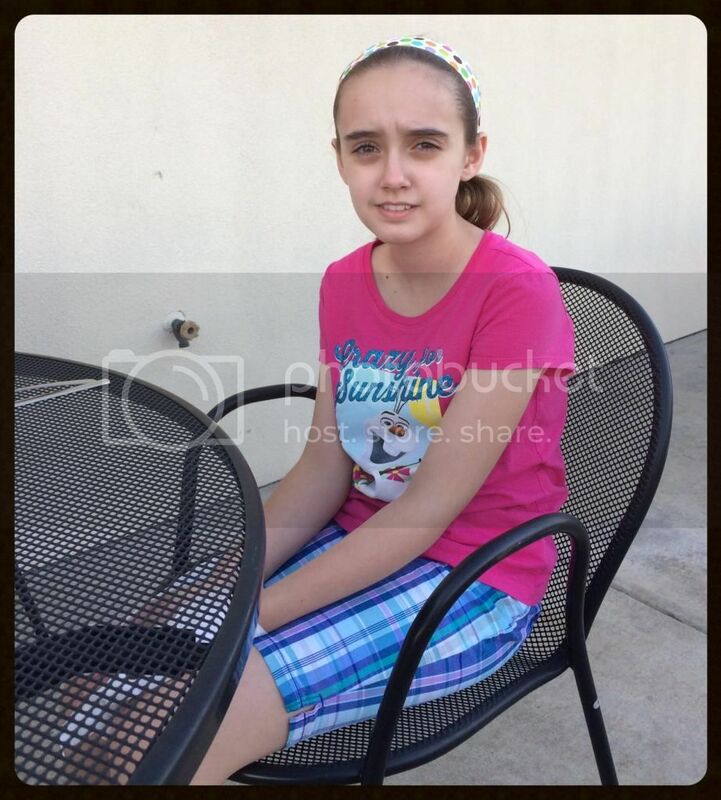 I knew Amber was having a flair up - the day had been awful, but left her at home with her dad for three hours while I attended a homeschooling high school meeting with our homeschool group anyway. Amber had fun playing games with her dad, yet was glued to me the second I returned home. She doesn't like me to leave her when she feels sick or is having flairs. It's like I am her stabilizing influence. What's a mommy to do though? She's standing there looking at me to help her after struggling to even tell me her feelings. I really just wing each depression episode based on some previous suggestions from the psychologist and our experiences. Then, there is the fact that I still feel the press of lessons calling and want to check off the school boxes. However, I also am more realistic these days and know Amber will mostly likely have brain fog and mental exhaustion given the sadness. They go together. Dinner outside in the chilly air. What I did was say a quick prayer for me know how to help Amber this time and then simply gave into the day and did only what felt calming and happy. 1. Morning cuddles. A warm bed and snuggly kitties always make the day start better. Thankfully Amber did snuggle kitties yesterday and I didn't rush her from the bed. 2. Riding on the back of a laden-down grocery cart with your mother steering. Because sometimes it's not so embarrassing. 3. Driving on a brand new highway opened two days ago, just because it's there and not because it's the right path to take. Also because we spent forever dealing with the construction issues. 5. Eating lunch when we are actually hungry and not when the clock says it's time. Amber desperately did not want lunch at noon. By 2:00 pm she was willing to eat. It so helps her when I don't force those types of issues. 6. Snitching the ends of the newly purchased whole ham intended for future dinners, as our lunch. 8. Eating dinner as a family on the patio of a favorite restaurant when it's actually a little too chilly, but nobody said a word on the subject. 9. Watching tv and laying on the floor with two kitties in front of the warm fireplace. (You know, after the chilly dinner). 10. Dessert, specially made to meet Amber's food restrictions, eaten picnic style in the family room while watching Star Wars: Rebels. 11. Laying with Mom at bedtime talking over her feelings and researching why she suddenly has been a physical and mental mess. 12. Sleep. Never wake a child in the midst of any kind of POTS flare up; no matter what she's not getting done. Because she will need 14 hours sleep. Amber wasn't better by the end of the day, however she certainly wasn't worse. It will take days for her to recover, and that's ok. We do not enjoy life with dysautonomia, we aren't always sure what to do, but with God's guidance we are making it through each day. I think you are doing a marvelous job. One of the great benefits of homeschooling is being able to stop midstream and meet the needs of our children. Praying for better days.